Treating, managing and reducing the burden of childhood asthma requires coordinated interventions that integrate community‐based approaches into patient care and take the management of asthma beyond the doctor’s office. Evidence‐based, community‐focused interventions, which help children and their families to proactively manage their condition and mitigate asthma triggers, are fundamental to successful asthma control and show a significant return on investment. Medicaid offers several strategies for expanding effective community‐based asthma programs for low‐income and medically‐underserved populations. The attached fact sheet describes these various strategies available to states as they seek ways of supporting community asthma management. This year, the Department of Housing and Urban Development (HUD) is set to release its smoke-free housing regulations, an important change in HUD policy that restricts smoking in public housing throughout the country. 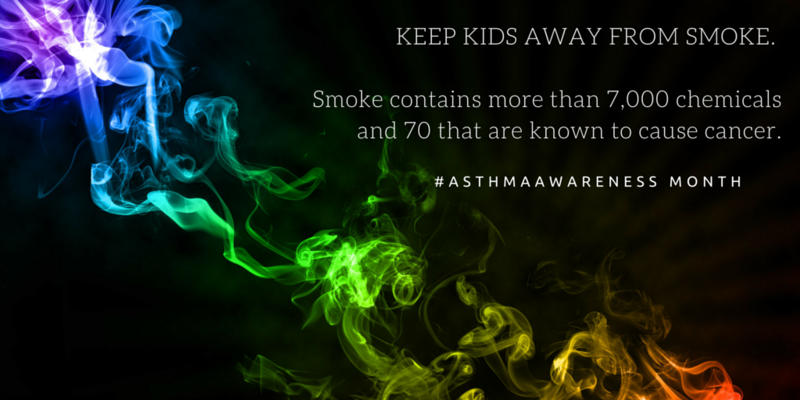 Smoke is one of the most common triggers of childhood asthma and children who suffer from asthma should never be around second or even third-hand smoke. Part of this year's Asthma Awareness Month toolkit focuses on the new HUD regulations -- asking administrators and policymakers to do more to protect children from tobacco smoke, and encouraging parents and caretakers to keep their homes smoke-free for the benefit of their children. The Congressional Allergy & Asthma Caucus, the Congressional Black Caucus and the Congressional Hispanic Caucus held a congressional lunch briefing Thursday, July 30th at Rayburn House Office Building on Tackling Health Disparities in Children for Medicaid's 50th anniversary. Despite significant improvements in children’s health coverage over the last decade, children of color continue to experience notable health disparities. From infant mortality and dental care, to asthma treatment and mental health services, children of color have higher rates of disease, poorer overall health status, and more limited access to care. While coverage is only one part of the disparities equation, Medicaid and CHIP are essential sources of health coverage for children of color whose families are more likely to be low-income. These programs insure more than half of Hispanic children (52%) and Black children (56%) compared to one-quarter of White (26%) and Asian (25%) children. The good news is that Medicaid and CHIP are making a difference in reducing racial and ethnic disparities by helping to connect children to the medical care they need. Download First Focus's child health disparities fact sheet here. Mr. Speaker: May is Asthma Awareness Month. As co-chair of the Congressional Asthma and Allergy Caucus and a senior member of the House Committee on Energy and Commerce’s Health Subcommittee, I want to take this opportunity to bring attention to asthma’s prevalence in the United States, as well as what must be done to control its growth. 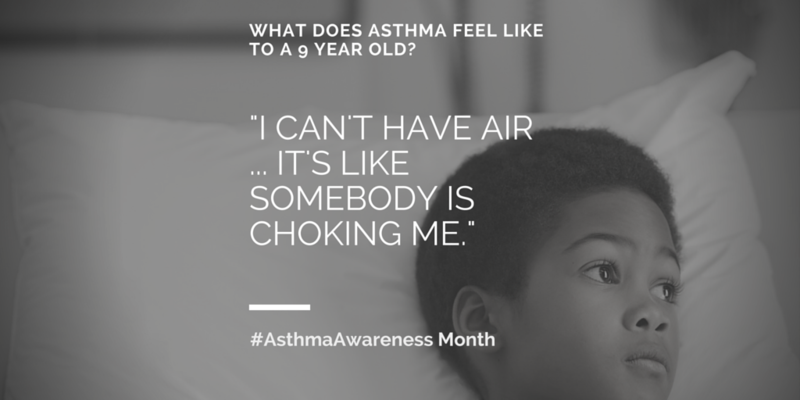 Asthma is one of the most serious chronic diseases in the U.S., affecting almost 26 million Americans and nearly 7 million children. It can cause shortness of breath, coughing, wheezing, chest pain, and even death. In my home state of New York, asthma takes a particularly heavy toll – especially in my hometown of the Bronx. About 390,000 children and 1.4 million adults in New York have asthma. The total cost of asthma-related hospitalizations in New York in 2007 was a staggering $535 million. The Bronx, where I was born and raised and am proud to represent part of, has one of the highest rates of asthma-related emergency room visits in all of New York. These statistics are even more alarming when looking specifically at minority and low-income populations. Children from poor households are twice as likely as their more affluent peers to be diagnosed with asthma. In addition, asthma rates among African American children increased by 50 percent between 2001 and 2009. Asthma’s prevalence costs children and adults dearly with regard to quality of life. However, it carries an economic cost as well. The direct medical costs of asthma treatment, coupled with absences from work and school, result in losses of more than $56 billion annually. 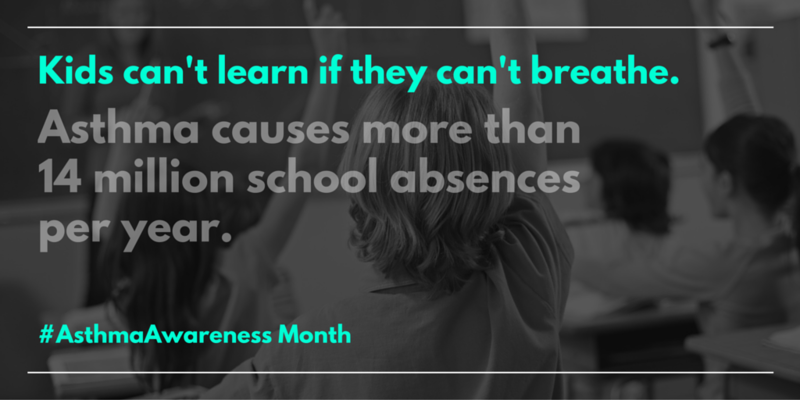 Children additionally suffer academically, as asthma causes about 14 million student absences each year. 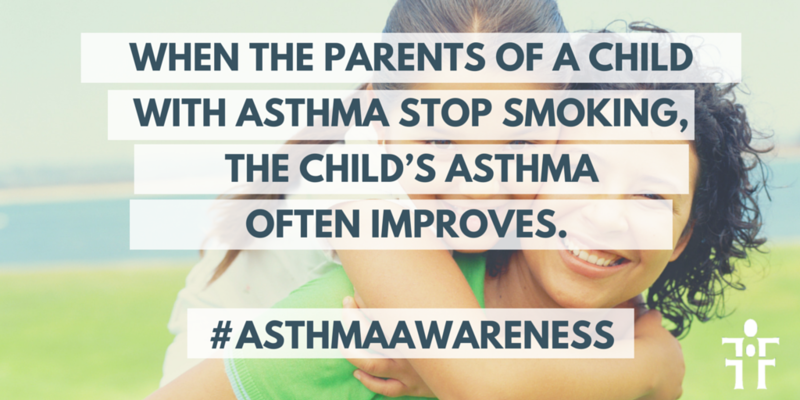 While asthma can be treated and managed, it is too often not managed properly. Asthma sufferers require regular check-ups, asthma management plans, and access to both maintenance and fast acting inhalers. People with persistent asthma must be tested for allergies so they can learn what triggers might cause an asthma attack. Furthermore, environmental triggers in homes and schools, such as mold, dust, animal dander, pests, toxic chemicals, and excessive moisture must be eliminated. Congress must also work to reduce asthma rates. A little over five years ago, Congress passed and President Obama signed into law the Affordable Care Act, which prohibited insurance companies from denying coverage to people with pre-existing conditions, like asthma. While this was a terrific stride, more efforts are needed here in Washington. I have been a strong supporter of the Centers for Disease Control’s National Asthma Control Program, which helps states implement systems to monitor and treat asthma. This Program’s work has resulted in a $23.1 billion decline in asthma health care costs since 2001. In addition, deaths related to asthma have dropped by 24 percent since the Program’s inception in 1999. Earlier this year, I led a letter asking appropriators to fund the National Asthma Control Program at $30.6 million in Fiscal Year 2016. While financial support for this Program is vital, we cannot rely on funding alone to solve the problems that asthma causes. We must continue to increase awareness of preventative measures to help people manage their disease. In addition, we must work collaboratively across sectors to address the burden that asthma creates. I look forward to continuing to work to ensure that adults and children across the United States can live healthier and more successful lives. This letter from Congressmen Eliot Engel (D-NY) and Gregg Harper (R-MS) formally invites their colleagues in the U.S. House of Representatives to join the Congressional Asthma and Allergy Caucus for the 113th Congress. Reps. Engel and Harper serve as the caucus' co-chairs. This document highlights the major accomplishments of the Childhood Asthma Leadership Coalitions three workgroups (Medicaid, federal funding, and asthma research), reviews efforts to engage with Federal leaders on asthma and our outreach to leaders on Capitol Hill, and describes actions in 2014 to strategically grow the Coalition and increase its media presence. Download CALC 2014 Year in Review. making all government-subsidized housing smokefree. 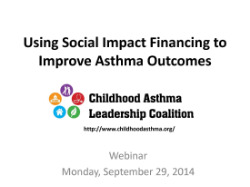 The Childhood Asthma Leadership Coalition hosted a webinar on September 29, 2014 to discuss efforts underway to use a social impact bond (SIB) financing model to address the range of complex issues that children with asthma face to get their chronic condition under control. SIBs are a potentially powerful tool for improving services for medically underserved children with asthma. In its most basic form, private investors participating in a SIB model pay the upfront costs for providing social services - from services related to criminal justice, to education, to health - and government agencies repay investors with a return on their investment if the program achieves agreed-upon outcomes (such as decreased healthcare expenditures). SIB models focused on asthma are designed to demonstrate that by educating patients and taking action against asthma triggers at home, insurers can achieve significant savings on emergency room visits, hospitalizations and other healthcare costs.